The BF and I are spending it with his family taking a hike in the mountains. Me? Hiking? In the mountains? Speaking of love, my 4 year anniversary with the BF is coming up soon. It seems surreal that we have been together for so long. It has been an experience I wouldn't trade for anything. LOVE those senso shoes. Every time you wear them I get jealous. 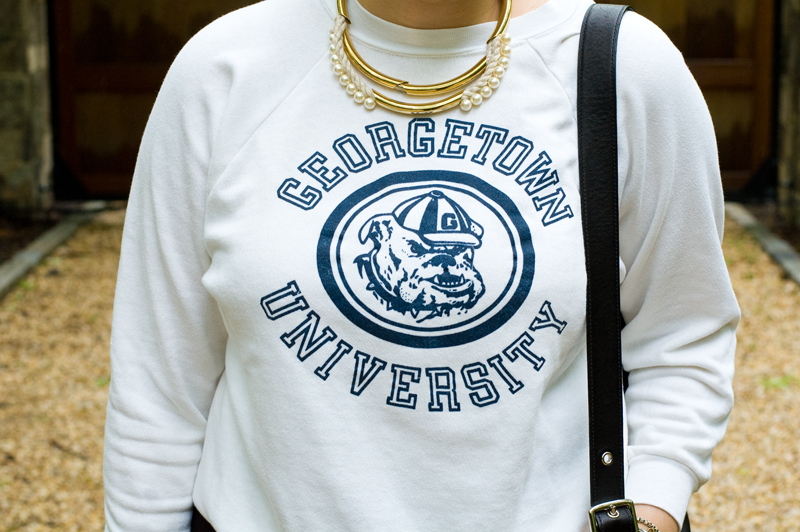 Your'e TOTALLY inspiring me to wear my Georgetown swag now with a statement necklace (albeit not phillip lim, because I'm poor), to totally class it up. Yes to this new location. Great pics. Awesome looky. 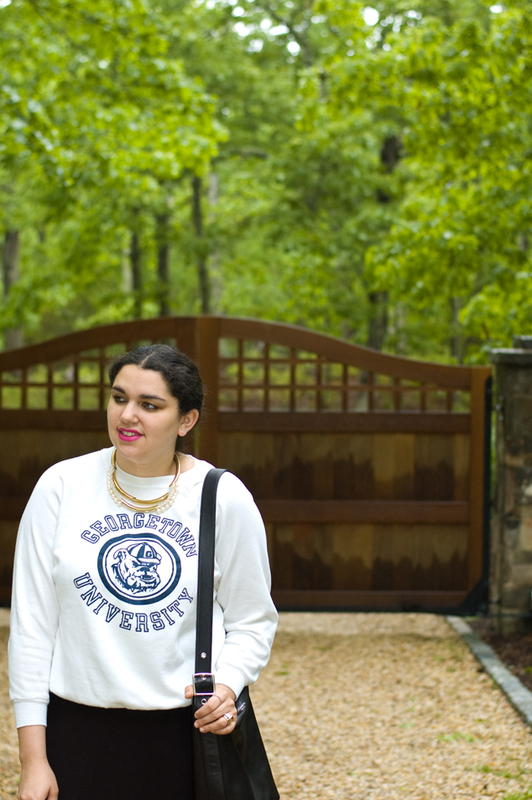 The sweater is top notch with your golden necklace! 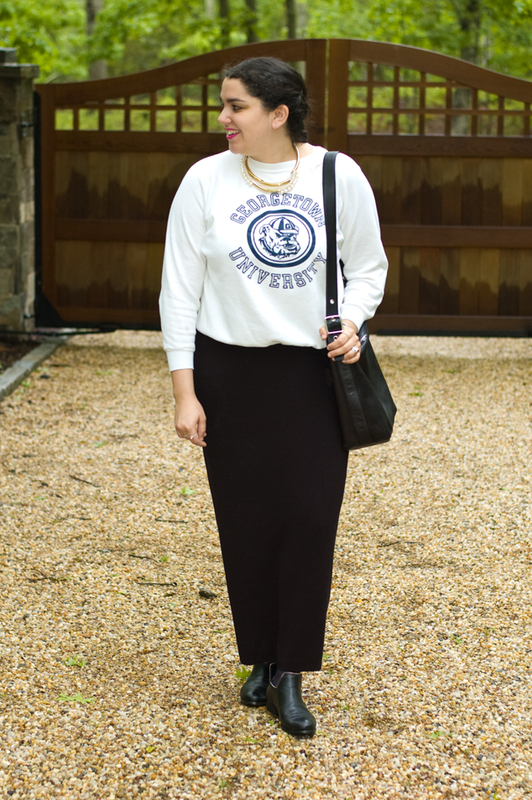 love this laid back look! that necklace is such a fun touch. I really like the causal yet glam vibe of the look.